The most frequently asked question among a group of friends these days is “But how do I start a conversation with them?” Communicating with a stranger has always been a hard nut to crack, because of the fear that one might get judged. 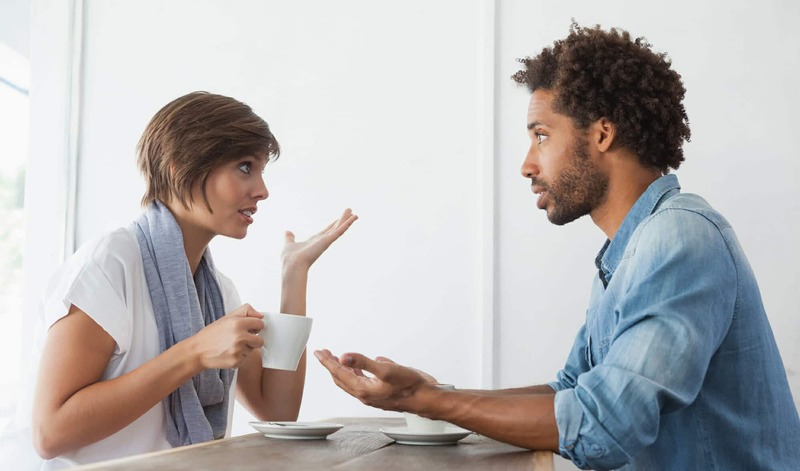 To navigate through an awkward social situation, you need to have a handful of questions up your sleeve, since no one knows when you might need to start a conversation. Remember a few things before you proceed any further: be confident, always take your chances, and don’t stretch your first conversation for too long. Keep it normal, healthy and funny if possible. If you’re trying to make an impression, make sure you don’t ask a lot about their private life, because it makes you seem nosy. Be it your first date, your first social meeting, or your first day at work, conversation starters work like a charm to know your colleagues, partner or crush, better. So without any further delay, let’s look at these conversation starters that can help break the ice when you’re around new people. The biggest hurdle that comes your way, when trying to establish good ties with a new person is breaking the ice. This generally refers to trying and starting a conversation with someone. Once you’ve prepared yourself to finally get rid of your hesitation, you start looking to your friends for ideas as to how you should break the ice. Well, your wait might just be over as we’ve combined some of the most effective questions which would not only help you break the ice, but also make you sound like an interesting person. But before you try these questions on somebody, always remember to go with the flow and never try to stretch your first conversation for too long. How frequently do you come here? What do you do to get rid of the negative thoughts? What’s your opinion on the current President of our country? Do you have any pets? If yes, then how many? How frequently do you hang out with your friends? Is there anyone in your friend circle that you are jealous of? Do you consider yourself a religious person? Are you a self obsessed person? Are you conscious about the way you dress up? Do you have something that you consider to be your lucky charm? Do you feel scared to express any of your bold opinions in a large gathering? Are you a clichéd sort of a person? Are you critical of the way your siblings dress up? What do you generally prefer doing in your leisure time? Do you find newborn babies cute? Are you interested in any kind of sports? Are you in touch with any of your school mates? Do you have any childhood friends that you go normally hang out with? Do you still ask your parents for permission before going out with your friends? Have you watched Game of Thrones? Have you ever done something to overcome your fears? You may have taken a lot of advice from your friends that you shouldn’t let your first conversation be a short one. It’s a misconception that a short conversation is useless when trying to leave an impression while breaking the ice. It’s generally a very effective way to make your first conversation really count. But it’s really important to know what you’re talking about. During that short span of time, you have to be wary of what you talk about and make sure you don’t talk about stuff that the other person is sensitive about. Take a look at the below listed questions. What’s the last overrated movie you watched in a cinema? Have you ever idolized anyone? Do you remain steadfast and calm in a dangerous situation? If yes, then how? At maximum, how many hours do you spend on social media every day? Do you prefer living alone? How would you describe your greatest fear? What’s the happiest moment of your life? Have you ever suffered a horrible accident? Do you consider a good cook? Do you like to keep things organized or it doesn’t bother you? What’s your definition of having fun with friends? How often do you go to your religious places? At what time do you generally sleep? Which one do you prefer, Italian cuisine or Chinese? Which genre of movies do you like watching? Is there any rumor that you’ve heard about your love life? What do you make of feminism? Do you support it? Is there any slang term that you use a lot? Is there any annoying habit about yourself you would like to change? Has someone ever risked their life just to save you? Do you have any person in your life that has had a major influence on you? How do you generally lift your mood? Have people ever told you that you throw a lot of tantrums? Do you consider yourself an egoistic person? Do you hesitate in initiating a conversation with your new friend? It’s a pretty common occurrence that whenever you go to an event your eyes are stuck on a certain someone, but you don’t feel confident enough to go and have a conversation with them. That happens mostly because you are not able to think of a topic that might interest them and hence you lose the chance of interacting with them. But, not anymore. Below you will find hundreds of questions that you can ask without stressing on anything. Just be calm and ask these questions in a very relaxed manner. Which song lifts your mood? Do you go to concerts? If not, then why not? Have you ever bought an expensive music CD and regretted it later on? Do you call more or text? What’s the first mobile phone you bought with your own salary? According to you, which is the worst restaurant you’ve ever dined in? Has a waiter ever spoiled your outfit by spilling a drink on you? Are you concerned about the ambiance of a restaurant more than its food? Tell me about the most interesting person you’ve met on a trip? Do you have any wishes regarding where to travel next? Have you ever bought a pair of expensive Gucci shoes? Do you dress up according to what’s trending or you wear the same pattern of clothes? Are you enthusiastic about new fashion trends? What’s that one thing you hope to achieve someday? Are you a career oriented person? What do you think about the LGBT movement? Do you support it? How often do you go to school re-unions? Do you feel embarrassed about your middle name or surname? Do you have a favorite among your parents? Do you tend to overspend when shopping alone? Have you ever done something evil? If yes, describe it? Do you regret doing something stupid? If yes, describe it. Do you sleep with a stuff toy? Relationships play an important role in one’s life, be it your friends, crushes, office colleagues, or even a stranger you have just met. There’s no harm in trying to know a person better and trying to establish a healthy relationship. But the tough part is, where do you start? How do you know their interests? Relax, just try one of these questions and get things started. Do you know any knock-knock jokes? If yes, what’s your favorite one? Do you consider yourself a lookalike of any celebrity? Have you ever considered changing your name? Do you avoid listening to a new song a day before exam because you are afraid it might get stuck in your head? Do you think we were better off as children? Have you hurt yourself because of someone? Is there anything you have in your wallet? (Except, money of course). Have you ever had a nickname you hated? Have you ever had an imaginary crush on a celebrity? What’s one thing that you find most attractive in girls/boys? If you are allowed to set your nickname, what would you set? Are you an animal-loving person? Have you ever been on a road trip for more than 15 days? Would you sacrifice your life for your country? If Hollywood was making a movie about you, which actor/actress would you want to play your role? Are you currently doing something to land your dream job? What’s the grossest thing you’ve seen? And where? If you could eat one thing for rest of your life, what would that be? Are you currently seeing someone? Have you ever been to Disney Land? Have you ever been to Tomorrowland? Have you ever put up your friend’s car on sale just for a prank? How often do you go out on summer vacations? What’s the best present you got on Christmas? Are you excited on New Year’s Eve? Have you ever thought of changing your religion? Everybody loves a good laugh and a nice first conversation. Not to forget, each of us has a different level of sense of humor and tolerance. Some may get your jokes and laugh, while some might get offended and walk out of the conversation. You have to be wary of both these things, you shouldn’t sound too boring or too edgy. The list below comprises cautious yet hilarious approaches to starting a conversation. One thing that you need to keep in mind is that the questions are just the start; they will only help you start a conversation. Once that’s done, just be cool and keep the conversation going. If animals could talk, who will be the rudest? 40 years from now, which thing will be the most nostalgic to you? What’s the most hilarious fact you now? What’s the most useless thing you still remember? What’s the funniest thing that has happened to you at a super market? Has your dad ever stumbled upon your browser history? What’s the most awkward Wi-Fi password you have ever set? Have you ever heard a recording of your own voice and felt miserable? Are you in favor of putting pineapple on pizza? Have you ever eaten mud as a child? Have your parents ever posted a naked picture of you from your childhood in the family group? Have you ever dreamt of getting rich by earning from YouTube? Have you ever used a cheesy pickup line on someone and failed? Do you put cereal before milk or milk before cereal? What’s your take on Hitler? Have any fictional characters influenced your life? What’s the most random thing you’ve kept in your wallet/ purse? What’s the most awkward thing you’ve said in a family gathering? What are your 3 most used emojis? Have you ever regretted getting a haircut? If you were forced to sing Karaoke, which song would you sing? What’s that one food you hated as a kid but love now? Do you wish you were born in some other decade? Did you name your first car? If yes, what did you name it? Who’s the most overrated actor or actress, according to you? Have you ever wished to be a part of a cartoon series or show? Have you ever done something that made your parents proud? Not being able to initiate a conversation with someone who you want to be with for the rest of your life, can be frustrating. You go through all those thoughts that might make you think, it will probably never going to work out. That thought can be irritating, but why not try and eliminate it? All you need is ONE good conversation starter to set the tone. It hasn’t happened yet, because you never gave it a shot. Well, the bad patch is probably over. Keep reading to find some of the most amazing silence breaking questions that you could ask, and will definitely help you in bringing back your lost confidence. If you could become a superhero for one day, who would you be? What is your definition of a “fun night”? Is there anything that you love doing? And why so? How do you usually spend a rainy day? How do you eat pickle? Raw or with something? Is there any compliment that is still stuck in your head? What’s the biggest compliment you’ve ever given to someone? Did you hate someone in your family as a child? If yes, do you still hate that person? Did you have a favorite teacher? Are you two still in touch? Have you ever started a diet and ruined it the very next day? Is there something about your friends that bothers you? What do you consider to be your dream job? Have you ever been drunk and got caught? What do you consider to be one of the most boring subjects? If you got to know, that you only have 24 hours to live, what are those 5 things that you’ll do straightway? Where did you spend your first salary? What’s the most precious thing you’ve gifted your parents? What’s the most precious thing that your parents have gifted you? Have you ever spent the night before an exam doing anything other than studying? What’s the weirdest thing that turns you on? Have you ever gotten any of your teeth extracted? If yes, describe your experience. What’s the worst place you’ve ever worked at? Are you a diet conscious person? How many relationships have you been a part of? How many stalkers have you caught red handed? Do you prefer partying on weekends or staying home? Do you have a set routine or is everything a mess in your life? Do you have a scary story to tell? According to you, how much a polar bear would weigh? If you close down a restaurant forever, which one would that be? If you could supply drugs, which drug do you think will be the most profitable? Have you gotten any permanent tattoos? Do you regret getting them? Have you ever got your ex’s name tattooed? If yes, describe it. Do you wish to have your own startup? Don’t you think there should more than just 2 holidays in a week? What do you make of the current political crisis? What’s that one thing that has been your weakness? Would you leave the love of your life for your dream job? Is there anything that stops you from pursuing your favorite subject? On a scale of 1 to 10, how selfish do you think you are? Would you donate all your life savings among the poor and the needy? Have you thought about ending current hunger issues? Have you ever driven while you were under-age? Have you ever destroyed your dad’s car? Have you ever scratched someone else’s car? Do you wish to keep things like they are going for you right now?